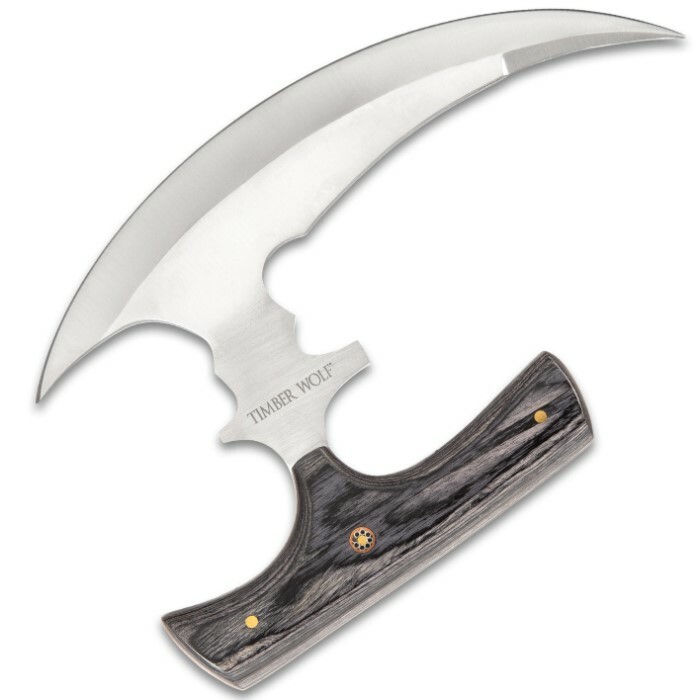 Timber Wolf Reaper Urban Ulu With Sheath - Stainless Steel Blade, Full Tang, Wooden Handle Scales - Length 4 3/4” | BUDK.com - Knives & Swords At The Lowest Prices! 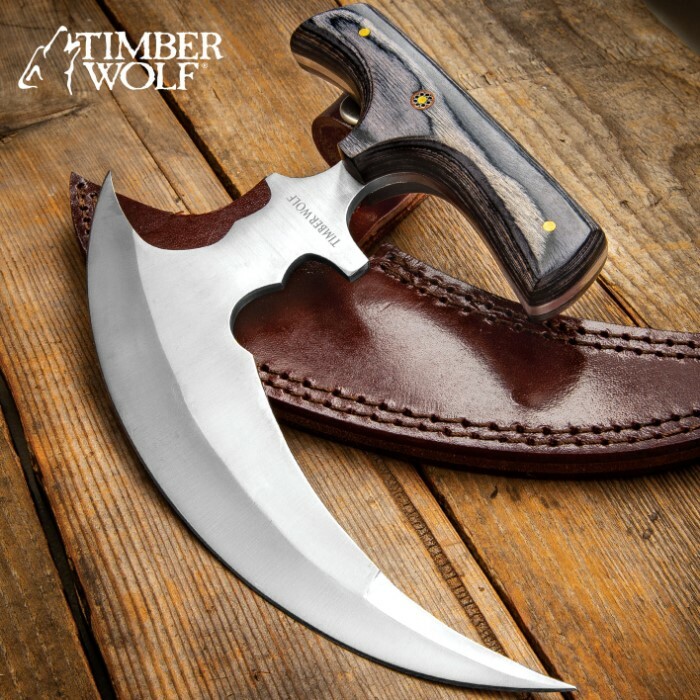 The Timber Wolf Reaper Urban Ulu takes a classic blade profile and elevates it to a new and innovative self-defense weapon that’s aggressive and formidable. 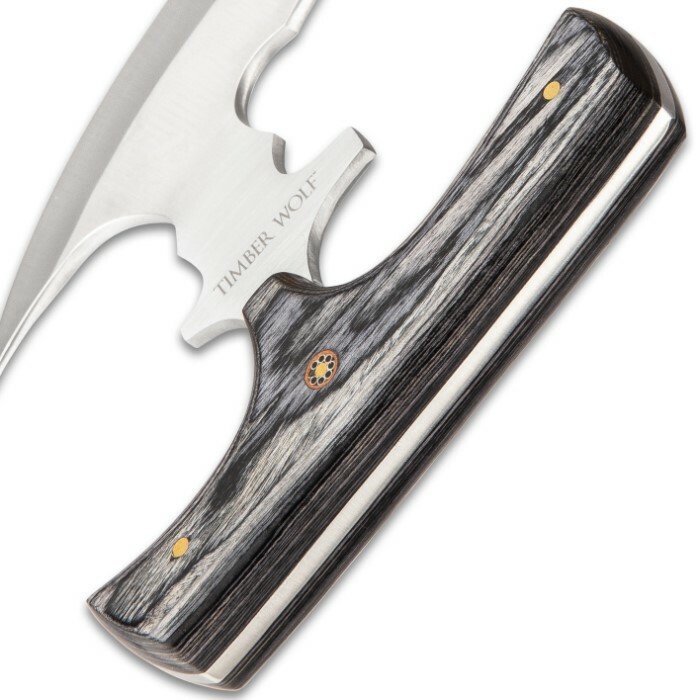 The razor-sharp, full-tang 7 3/4” stainless steel scythe blade has a downward curve with penetrating points on each end. The ergonomically grooved, black wooden handle scales feature a rosette accent and are secured to the tang by brass pins. 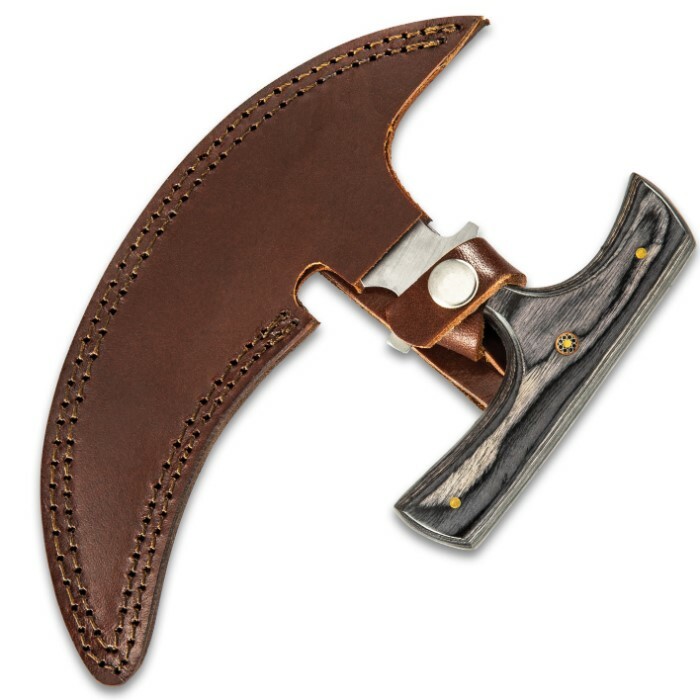 The wicked 4 3/4” overall fixed blade can be carried and stored in a premium leather belt sheath with snap closure.